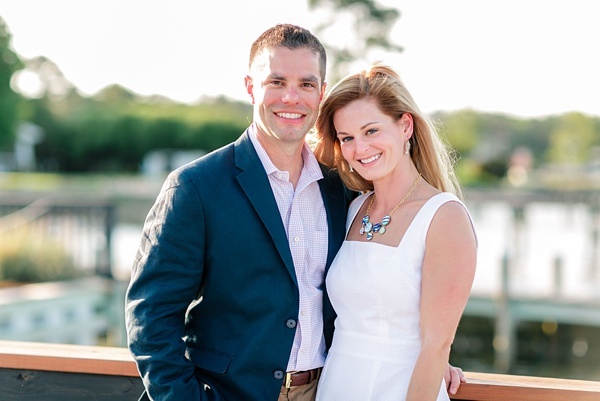 With a family home along the Potomac River, Paige and Matt are big fans of the Northern Neck region of Virginia. 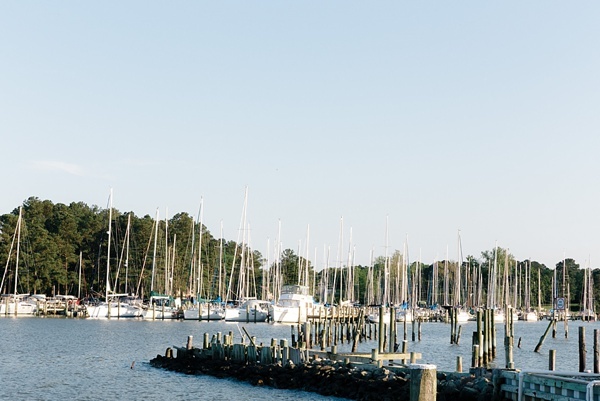 Even though they all live out of state, every time they are in town, Merroir is a must-visit for their award-winning oysters. 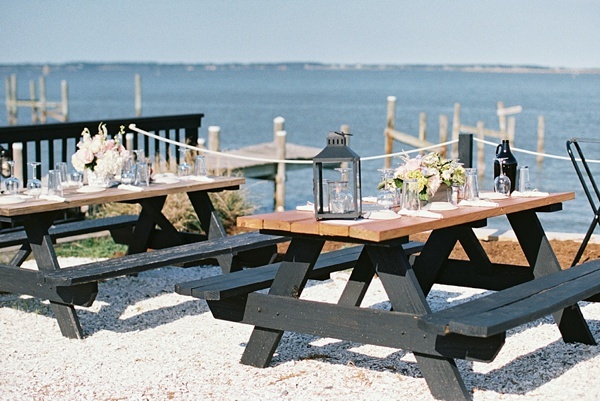 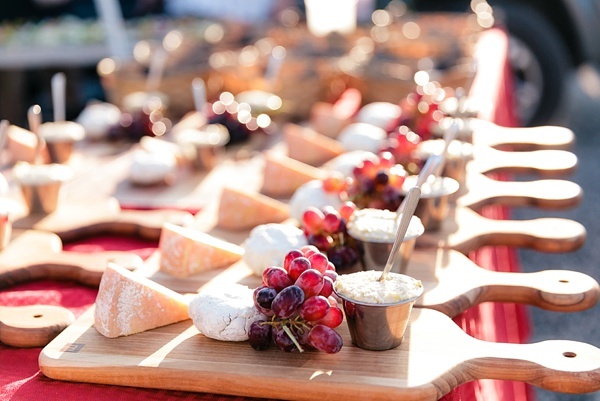 When planning the wedding, Paige wanted guests to really experience the wonderful things Northern Neck has to offer, so it was without question as to where they would host their rehearsal dinner. 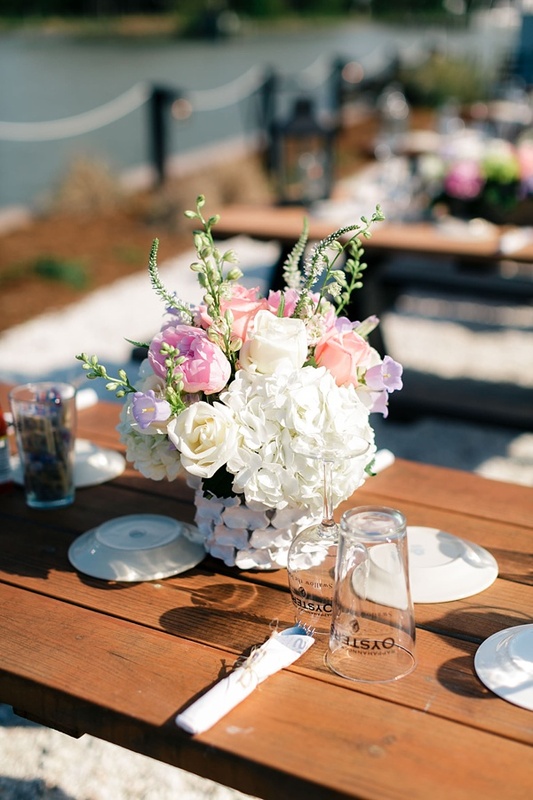 Captured by Melissa Arlena Photography, the Rappahannock River and the sailboats that passed by gave the perfect backdrop for chic picnic tables, gorgeous soft pink and white florals, and a great riverside oyster feast. 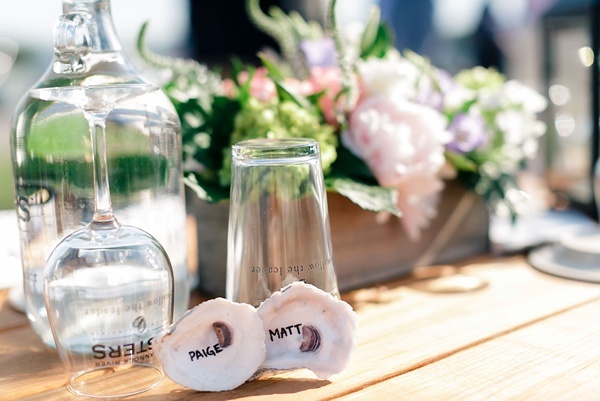 To tie in the theme of the evening, oyster shell place cards were made for each guest to inform and to serve as a sweet memento of a local culinary favorite. 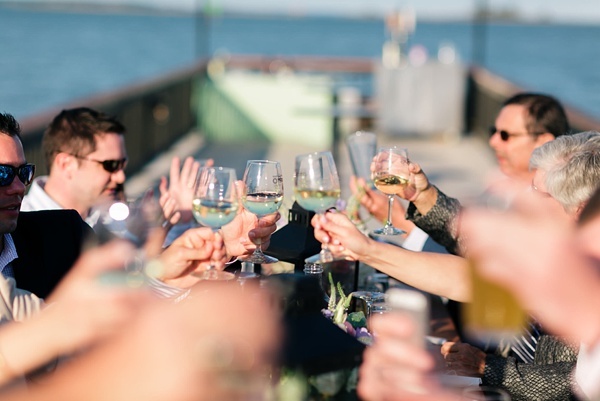 Between the delicious food and good music from the band, everything was perfectly orchestrated to help Paige and Matt celebrate their wedding weekend in style.